Toward the end of the year, just before Thanksgiv­ing, Vintage decided to re-release, for the first time in decades, Fletcher Knebel’s Night of Camp David, the 1965 political SF thriller about an unhinged President, which the New York Times originally reviewed with the headline “Was the President Off His Rocker?” That headline, in turn, is pretty similar to actual headlines we were seeing as 2018 ended. Dystopian fiction had already grown into the most innately boring of genres before all this happened (even Joyce Carol Oates took a crack at it this year with Hazards of Time Travel, which only got inter­esting when she shipped her victimized protagonist back to the 1950s Midwest), but 2018 might well have been the first year in which promos for the latest nightmare future became essen­tially indistinguishable from daily headlines and editorials. 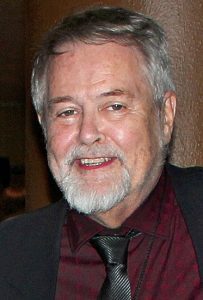 Fifty years ago, the term “po­litical science fiction” was bandied about, with an emphasis on “political science,” to refer to a class of near-future bestsellers that included Knebel’s novel, along with such things as his earlier collaboration with Charles Bailey, Seven Days in May (about an attempted US military coup), some of Allan Drury’s novels, and the occasional nuclear apocalypse like Eugene Burdick & Harvey Wheeler’s Fail-Safe. I don’t think these ever got much discussion in SF circles – they certainly weren’t presented as SF at the time – but they were pretty direct expressions of the anxieties of the era. Probably the closest approximation of this sort of thing in 2018 was Bill Clinton & James Pat­terson’s The President Is Missing, a title meant to sound ominous but which by now reads like wishful thinking. I haven’t read it yet, partly out of fear that they might find him. Now here we are two years into what we might call (borrowing a term from Neal Stephenson) The Confusion, and here’s one of the things I love about SF&F: unlike those ancient potboilers, it doesn’t need to foreground the obvious. Of the two books I reviewed this year that offered the most acerbic observations about our present situation, one was an ostensible sequel to a literary classic, set in 1850s New York, and the other was a slapstick farce about a maker of viral stunt videos. 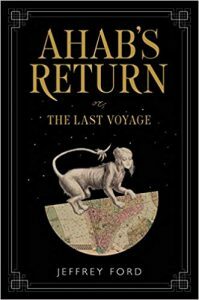 While there are plenty of urban terrors in Jeffrey Ford’s Ahab’s Return, in which Captain Ahab survives and returns to New York in search of his family, the most chilling involves the supernatural villain Malabaster’s affili­ation with the Know-Nothing Party and his virulent racist and anti-immigrant rhetoric. In Charlie Jane Anders’s novella Rock Manning Goes for Broke, the makers of the popular videos live in a collapsed America with an out-of-control opioid epidemic, a weak federal government, and a neo-fascist move­ment rapidly gaining influence. Its absurdist violence is probably as appropriate a response to The Confu­sion as anything I saw last year. In general, much of 2018 seemed to involve backward glances – stories that reinvented classic fairy tales or fables, novels that deliberately invoked literary history from Melville and Jane Austen to Sherlock Holmes, alternate histories that reimagined much of the twentieth century, time travel stories that took us from ancient Mesopotamia to WWI, retrospective story collections sometimes covering whole careers, important historical anthologies of women’s or Israeli SF, major non-fiction works that newly illuminated the Campbell era and the history of the Hugo Awards. In many ways, it was a year of taking stock. This doesn’t mean that the pressing issues of the day were ignored by other writers. My choice for the SF novel of the year is Sam J. Miller’s Black­fish City, which also mentions (almost in passing) that the American government has collapsed, takes place in a stunningly imagined artificial ocean city whose population has benefited by an influx of refu­gees from the flooded coastal areas of the “Sunken World.” With its out-of-control capitalism, AI-driven municipal government, corrupt sports, and the preda­tions of both organized crime and Big Pharma, the novel resonates with contemporary relevance, yet achieves the rare feat of a thoroughly convincing extrapolated environment with a cast of fascinating characters who are believable products of that environment. 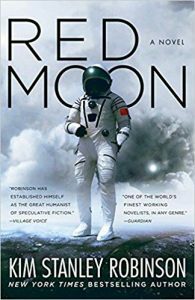 Two other novels with exceptional portrayals of credible characters who seemed to derive from their environments were set on very different versions of the Moon: Kim Stanley Robinson’s Red Moon, while more modest in scope than some of his recent novels, featured Moon settlements dominated by the Chinese and grappled with political and moral questions in Robinson’s trademark manner, with most of the political focus on the Chinese superpower. John Varley’s Moon novel Irontown Blues, a return to his Eight Worlds se­quence concerning a humanity exiled from Earth, was a tribute to hardboiled mysteries and other aspects of pop noir, but also featured (and was partly narrated by) an intelligence-boosted dog named Sherlock, one of the more persuasive portrayals of a nonhuman intelligence that I saw last year. 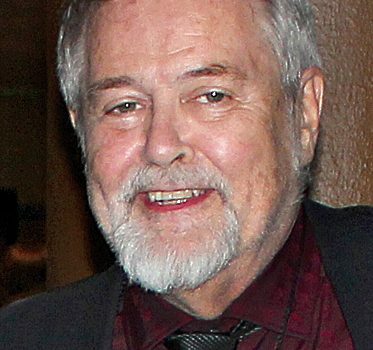 With Jeffrey Ford channeling Melville and Varley channeling Chandler, it’s not surprising that a number of other novels should look to specific literary for­bears. Two of the most ambitious were John Kessel’s Pride and Prometheus, an expansion of his story that mashed together characters from Mary Shelley and Jane Austen, somehow without violating the essential tone of each writer, and Theodora Goss’s European Travel for the Monstrous Gentlewoman, a sequel to her earlier The Strange Case of the Alchemist’s Daughter, but which shifted its narra­tive mode from that of an urban thriller in the earlier novel to that of a somewhat more leisurely journey of pursuit and discovery, featuring her same cast of characters derived from Shelley, Stevenson, Wells, Hawthorne, and Stoker, together forging a female al­liance against evil conspiracies and really bad fathers. 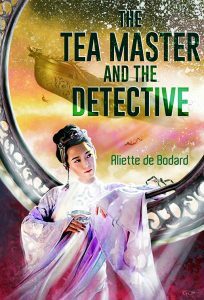 Aliette de Bodard revisited Sherlock Holmes, sort of, in The Tea Master and the Detective, set in her distinctive and strikingly original Xuya far future, but with a grumpy researcher in the role of Holmes and a damaged intelligent spaceship as Watson. It was one of two outstanding novellas de Bodard produced during the year, and the other also looks to a classic source: “Beauty and the Beast”, as re-imagined in a diminished postcolonial world abandoned by super-aliens in In the Vanishers’ Palace. Another classic tale, “Rumpelstiltskin”, was the basis for one of the year’s most outstanding fantasy novels, Naomi Novik’s Spinning Silver, which unpacked some of the anti-Semitic themes of the tale while constructing a rather spectacular confrontation between super­natural agents of fire and ice. As long as we’re on the topic of revisitations, the past master of reinventing fairy tales, Jane Yolen, collected several of her more insightful examples in the appropriately titled How to Fracture a Fairy Tale, while Andy Duncan – in what might well be the collection of the year – invoked everyone from Sir Thomas More to Zora Neal Hurston in An Agent of Utopia, which also brought together some of his most evocative tales about the hidden corners of Americana, from an afterlife for Delta blues singers to the travails of an aging UFO abductee. But I’m getting ahead of myself. 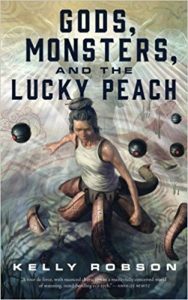 While some writers pointedly reflected the current political chaos and others found fantastical ways of reconsidering classic tales, neither of those constitute what I’d call trends; they’re simply current examples of what SFF has always done, and 2018 also saw some new ways of exploring familiar themes. Lavie Tidhar has ex­perimented with a lot of varieties of alternate history, but Unholy Land is one of his most complex and suggestive yet, drawing on the possible histories of Jewish homelands. Hannu Rajaniemi more or less moved into Tidhar territory with another sort of alternate history, Summerland, which blended its alternate history of the 20th century with the classic British spy narrative and – in the boldest stroke – an afterlife fantasy set in the indeterminate nether region of the title. I’m not sure it succeeded on all fronts, but it gets points for boldness of concept. The alien overlord tale is familiar enough, too, but indigenous Australian writer Claire G. Coleman brought it pointedly to bear on actual Australian his­tory in her searing Terra Nullius. An alien presence in Nigeria also leads to multiple odd effects in Tade Thompson’s excellent and complex Rosewater, which appeared a couple of years ago but which I didn’t see until its Orbit reprint last fall. 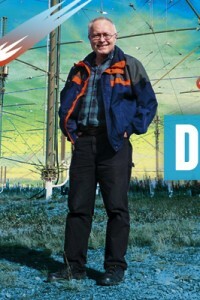 The vener­able problem of trying to outwit a super-intelligent computer (last year was the 50th anniversary of 2001: A Space Odyssey) got an ingenious episodic treatment in Peter Watts’s The Freeze-Frame Revo­lution, while the equally familiar tale of humanity facing a test for its own survival got a unique spin in Catherynne M. Valente’s manic Space Opera, which framed the contest as a galactic version of the Euro­vision song competition. Perhaps the most haunting and lyrical treatment of time travel (or time shifting, possibly) was Ian McDonald’s romance Time Was, with its two ill-fated male lovers trying to connect across the 20th century. Another approach to time travel – researchers from an ecologically devastated future travel back to ancient Mesopotamia in hopes of gaining important environmental insights – was only one of the welter of interesting ideas that flowed through Kelly Robson’s Gods, Monsters, and the Lucky Peach, which is probably my candidate for the most original novella of the year. 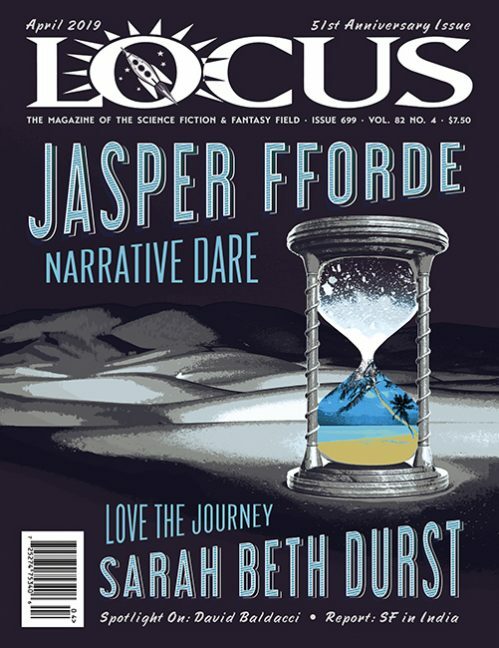 In general, it was anoth­er strong year for novellas, which seem to be reclaiming their role as the product devel­opment lab of the whole SFF enterprise, but it was also an unusually strong year for story collections as well, which can be seen as another sort of laboratory. In addition to the collections already mentioned by Duncan and Yolen, the year saw important col­lections by veterans K.J. Parker (Father of Lies), James Patrick Kelly (The Promise of Space), Michael Blumlein (All I Ever Dreamed), and Michael Bishop (The Sacerdotal Owl and Three Other Long Tales), along with important first col­lections by Vandana Singh (Ambiguity Machines and Other Stories), Jo Walton (Starlings, which like the Yolen collection mixes poems and stories), and Priya Sharma (All the Fabulous Beasts). While Singh, Walton, and Sharma were more or less fa­miliar names, with some of the stories previously anthologized, there were also a couple of collections that represented entirely new voices to me: Julie C. Day’s Uncommon Miracles and Abbey Mei Otis’s Alien Virus Love Disaster, both of which, at their best, re-invented and mixed genre materials in a way reminiscent of last year’s widely lauded Carmen Maria Machado collection, Her Body and Other Parties. But my other candidate for story collection of the year, running a close second to Andy Duncan, would be N.K. 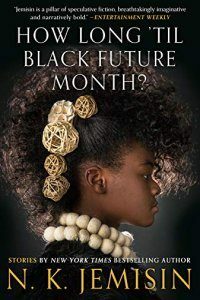 Jemisin’s How Long ’til Black Fu­ture Month?, which demonstrated an impressive range of forms and themes, and even a degree of play­fulness and experimentation, with stories (four original!) ranging from the world of her Broken Earth trilogy to post-Katrina New Orleans. It’s worth noting that three of these collections (Singh, Otis, and Duncan) came from Small Beer Press, which has become a reliable source for innovative short fiction collections, as has Tachyon, which published the Yolen and the Walton. Finally, I should mention pos­sibly the most unclassifiable major book of the year, Shaun Tan’s Tales from the Inner City, a series of stories (with only visual icons for titles) which explore the conjunction of animal and human worlds, with much of the narrative covered by captionless illustrations. It also seemed a strong year for original antholo­gies, beginning with another entertaining theme anthology from Dominik Parisien and Navah Wolfe, Robots vs Fairies, which sounds a good deal more twee than is the case with the sometimes powerful stories which it featured, especially those by Jeff Ford, Catherynne Valente, Annalee Newitz, and Ken Liu. Gardner Dozois’s The Book of Magic was what turned out to be a bittersweet swan song from one of the field’s greatest editors, with strong stories by K.J. Parker, Megan Lindholm, John Crowley, Garth Nix, Eleanor Arnason, Andy Duncan, and Lavie Tidhar. Perhaps most important in an archi­val sense were two anthologies that set out to trace underrepresented aspects of genre history: Sheldon Teitelbaum & Emanuel Lottem’s Zion’s Fiction: A Treasury of Israeli Specula­tive Fiction and Lisa Yaszek’s The Future is Female! 25 Classic Science Fiction Stories by Women, from Pulp Pioneers to Ursula K. Le Guin from the Library of America. 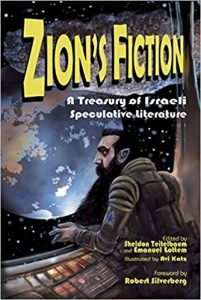 There had been previous antholo­gies of Jewish science fiction, notably those edited by Jack Dann decades ago, but none so thoroughly focusing on Israeli science fiction – which, as the editors make clear in a scholarly historical introduction, isn’t quite the same thing at all. The same might be said of women SF writers: there have been plenty of anthologies, including classic decades-old ones by Pamela Sargent, but few that attempted to methodically trace the work of women from the pulp era through the 1960s. Each anthology included rare treats for veteran readers – interesting stories by writers that you’d never even heard of, some with only a handful of SF stories in otherwise substantial careers, some with SF careers that lasted only a matter of months. As long as we’re discussing historical perspectives, the two most important nonfiction books of the year were also es­says into literary history: Jo Walton’s An Informal History of the Hugos: A Per­sonal Look Back at the Hugo Awards, 1953-2000, drawn from a series of Tor.com essays (and with substantial addi­tional commentary from Gardner Dozois and Rich Horton), was a chronicle of Walton’s rather quixotic undertaking of looking at each year’s Hugo Award nominees and winners and trying to assess whether, by and large, the Hugos have gotten it right (the answer: more or less, but not spectacularly so). Alec Nevala-Lee’s excellent Astounding: John W. Campbell, Isaac Asimov, Robert A. Heinlein, L. Ron Hubbard, and the Golden Age of Science Fiction revisits an era familiar to most SF read­ers, the Astounding editorship of Campbell from the 1930s until the 1960s, approaching its cast of luminaries with a sharply clear and critical eye and a mountain of revealing research. There’s been a good deal of discussion lately about whether newer readers need to orient themselves to the genre by plowing through these golden age classics, and Nevala-Lee provides plenty of evidence for the importance of the work of Hein­lein, Asimov, and Campbell (less so Hubbard, the Mephistopheles of the piece), while at the same time offering plenty of evidence as to why you wouldn’t want to go too near these guys with a fishing rod. The history of modern SF’s major themes and techniques, it seems, can’t quite be untangled from its often unredeemable attitudes to­ward gender and race. Two books (which I was involved in) also of­fered a bit a historical perspective: James Gunn’s Modern Science Fiction: A Critical Analysis: The Seminal 1951 Thesis with a New Introduction and Commentary, edited by Michae Page and for which I wrote the foreword, reprints with extensive notes Gunn’s original University of Kansas master’s thesis – certainly one of the first on commercial American SF and probably the first by a practicing SF writer – while Gary Westfahl’s Arthur C. Clarke was the latest addition to the Modern Masters of Science Fiction series which I edit for the University of Illinois Press. Finally, although it’s not normally in my purview, Michael Benson’s Space Odyssey: Stanley Kubrick, Ar­thur C. Clarke, and the Making of a Masterpiece, published on the film’s 50th anniversary, is some­what comparable to Nevala-Lee’s book, not only for the diligence of its research, but for its clear-eyed focus on character, putting to rest a good bit of the pop mythology surrounding the film. There were, as always, important books that I didn’t yet get to by Dave Hutchinson, Cixin Liu, Adam Roberts, Ahmed Saadawi, C.J. Cherryh, and many others. And as always, that’s a sign of the impressive and still expanding heterogeneity of our field. Even someone who reviews books for a living (or at least that part of a living that pays for sandwiches) might end up missing out on some of the most important books of the year. Like everyone else, my stack of Books To Get To is as close as I’m likely to get to experiencing infinity.